We are offering an exquisite collection of pashmina shawls that is widely appreciated by our clients for its unique look and style. These pashmina shawls are carefully hand woven by our craftsmen with emphasis on the minutest detail. Moreover, we make use of quality wool that makes these shawls extremely comfortable during the winters. 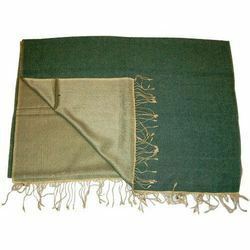 Our pashmina shawls includes cashmere scarves, woolen pashmina shawls, viscose pashmina shawls and silk pashmina shawls. We are offering 100% Woolen Pashmina Shawls that are carefully crafted by our skilled craftsmen to offer warmth and comfort to the wearer. These 70x 200 cm shawls are available in soft texture and in varied color combinations. We offer these in a multitude of designs and patterns that can also be customized according to the specific requirements of the clients. We are offering Ombre Viscose Pashmina Shawls that are adorned with intricate embroideries. These are embroidered with quality threads by skilled artisans and craftsmen, who have years of experience in this domain. Our complete array of shawls is soft and smooth textured and is equally warm. 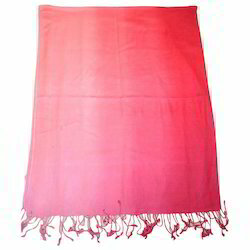 Moreover, these 70 x 200 cm shawls are available in a wide variety of colors and designs. 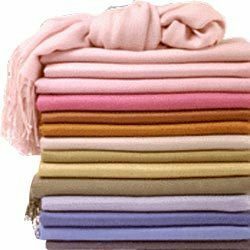 Our clients can avail from us a wide variety of Silk Pashmina Shawls that is available in a plethora of eye catching colors and textures to suit the requirements of our clients. 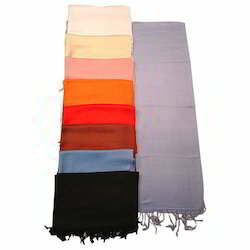 These 70 x 200 cm shawls can be worn with any outfit and suit to every occasion. Moreover, these are offered in contemporary and classic styles and can also be customized as per the designs and specifications provided by our esteemed clients. We provide 100% viscose stripe shawls. We are offering a wide collection of multicolored stripe & boxes shawls (FC-N-V-1103), which is crafted using 100% viscose fabrics that make it comfortable to wearer. 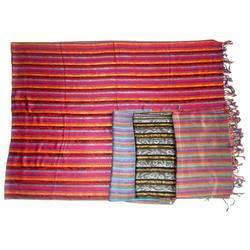 These 70 x 200 cm striped shawls are available in dazzling colors. Moreover, we also have the capability to offer them in customized sizes, design and patterns to meet the requirements of our clients. We bring forth a trendy and stylish assortment of 100% Cashmere Scarf that is available in a variety of embroidery designs and prints. Our 70 x 200 cm scarves add perfect accent to feminine style. Moreover, the embroidery designs in vibrant color combinations look extremely elegant. We are offering these in a plethora of designs and patterns as per clients’ requirements. Looking for Pashmina Scarves ?